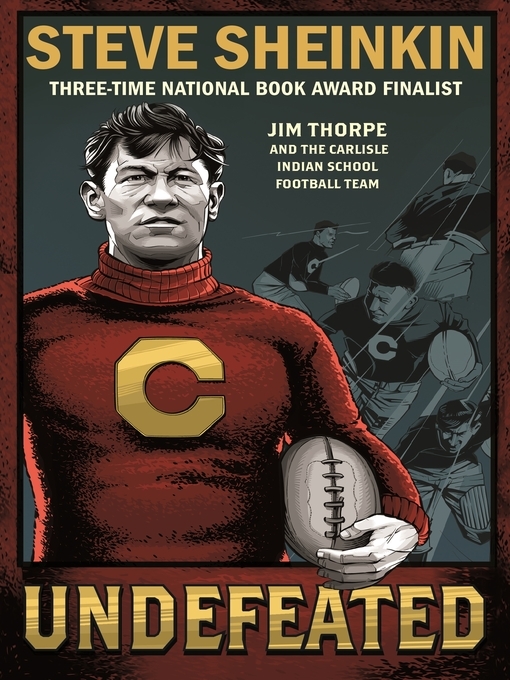 Undefeated: Jim Thorpe and the Carlisle Indian School Football Team is an astonishing underdog sports story—and more. It's an unflinching look at the U.S. government's violent persecution of Native Americans and the school that was designed to erase Indian cultures. Expertly told by three-time National Book Award finalist Steve Sheinkin, it's the story of a group of young men who came together at that school, the overwhelming obstacles they faced both on and off the field, and their absolute refusal to accept defeat.